Previous image, 18 total items. Next image, 18 total items. A startling combination of mankind’s engineering and nature’s beauty make this attraction one of the city's best. Sitting on the edge of the city and overlooking the mouth of the Singapore River, Gardens by the Bay is a triumphant achievement. Wander serene walking trails, explore impressive landscape architecture and marvel at the two garden-filled domes and huge manmade "Supertrees." Head straight for the garden’s main attractions, the huge manufactured trees which tower up to 166 feet (50 meters) over the surrounding landscape. The trees are planted with hundreds of species of orchids, bromeliads, ferns and tropical flowers. If you are there at the end of the day, stay a little longer to witness the impressive "Garden Rhapsody" light show. Travel up one of the trees in an elevator and take a skywalk for an even more impressive perspective. The other major attractions are the two domes, the Flower Dome and the Cloud Forest. Enjoy a break from Singapore's humidity in the Flower Dome. Replicating the cool dry climates of the Mediterranean and other parts of the world, the dome is filled with impressive plants from around the globe. Wander among huge baobab trees and ancient olive plants, to cactus and the ever-changing Flower Field. Step into an entirely different world in the Cloud Forest. Although still cool, this dome replicates a moist tropical highland environment and houses the world's tallest indoor waterfall. Ascend into the heights and then wander down the winding walkways past carnivorous plants, yet more orchids and even a crystal-filled cavern. Outside there are miles of trails that traverse the park, each leading to a unique pocket of garden. See the themed gardens that showcase rare tropical species and a vibrant array of flowers or join a guided tour to discover the hidden secrets of the park. 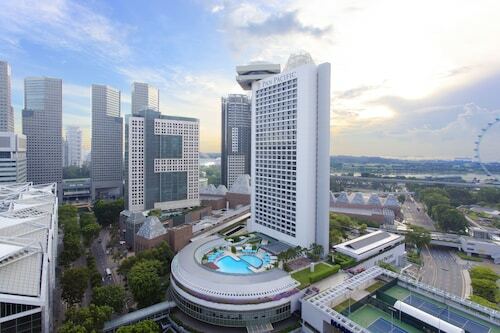 The Gardens by the Bay are located immediately adjacent to the famous Marina Bay Sands hotel. There are four onsite parking lots. Parking is free between midday and 2 p.m., but outside these times there is a fee. Gardens by the Bay can be reached by public transportation via bus or MRT, with the Bayfront station located just over the Dragonfly Bridge from the gardens. The Gardens by the Bay are open daily. There is a fee to take a skywalk or to enter the domes. If you'd like more activities, check out our Marina Bay things to do page. 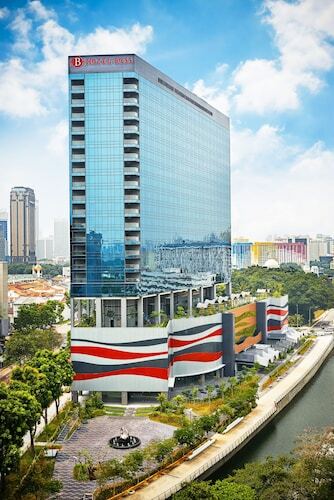 Centrally located in the heart of Marina Bay, the hotel is just steps away from shopping, entertainment, and dining options. 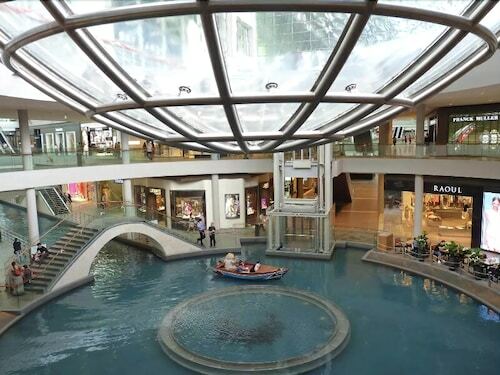 Guests enjoy skybridge access to 3 shopping malls and attractions, such as Gardens by the Bay and the Singapore Flyer within walking distance. 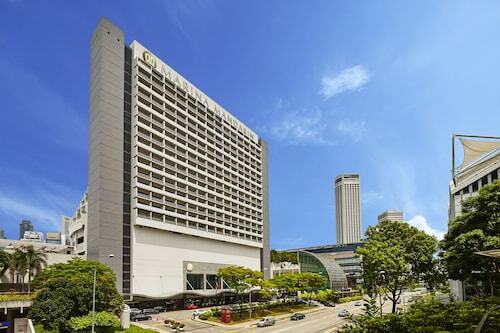 Only a 20-minute drive from Changi Airport. 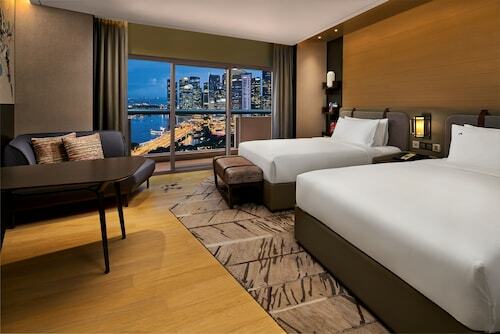 Located in Marina Bay, this family-friendly Singapore hotel is within a 15-minute walk of Marina Bay Sands Skypark, Singapore Flyer, and Marina Bay Financial Centre. East Coast Park and Merlion are also within 1 mi (2 km). Bayfront Station is only a 4-minute walk and Marina Bay Station is 14 minutes. 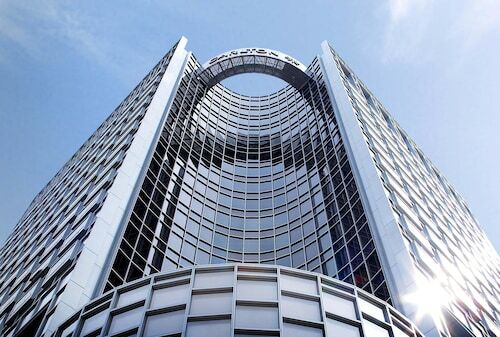 The hotel is strategically located in the heart of Singapore just a few steps from Suntec City International Exhibition & Convention Center, Raffles Place and Orchard Road. Airport is a 20-minute drive away. Garden oasis in Marina Bay. 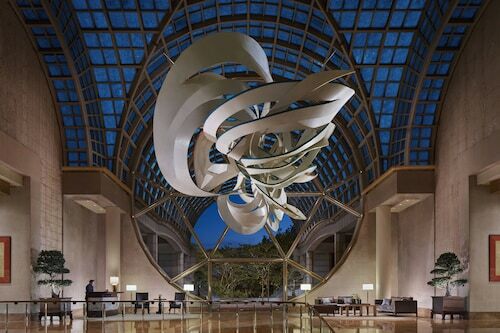 Set in the heart of Marina Bay, this luxury hotel is steps from the Singapore Flyer, Marina Square shopping mall, and Esplanade - Theaters on the Bay. Gardens by the Bay is located a short 10-minute drive away. 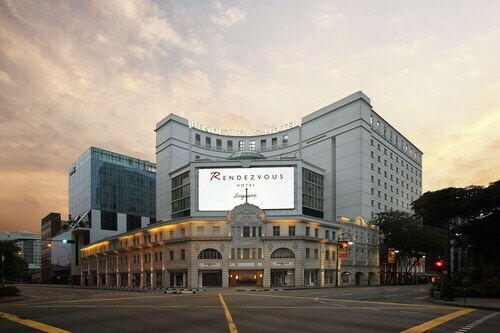 This smoke-free Singapore hotel is about a 5-minute walk from an MRT (Mass Rapid Transit) station and a 10-minute walk from Orchard Road's famous shopping area. Singapore Botanic Gardens is 4 km (2.5 mi) away.